All instruments stand 2000 Volts AC for one minute and have an insulation of over 20 Meg ohms. PnU offers testing and commissioning services for wide ranges HV and LV Substation equipments.The following tests shall be conducted for Circuit Breakers. These are accessible with us in various range and stipulation as per the precise demands and condition of clients. The range of items that we supply is of high performing efficiency and offer long lasting life. We are offering High Voltage Testing Services to an increasing number of electricity utility and industrial clients around the country. 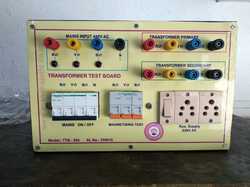 The testing services are carried out by our team of highly trained Test Engineers who utilize the latest technology and latest equipment in testing the high voltage. They offer reliable services at cost effective prices, ensuring safety of the clients. We have been counted amongst the most trusted names in this domain, engaged in providing High Voltage Testing Service. These tests are again carried out as per relevant ISspecification in the presence of the concernedInspecting Authority for testing, approval and releaseof material offered for inspection. High-pot testing up-to 80kV DC and 60kV AC. Electrical equipment must be capable of withstanding overvoltages during operation. Thus by suitable testing procedure we must ensure that this is done. High voltage testing can be broadly classified into testing of insulating materials (samples of dielectrics) and tests on completed equipment. 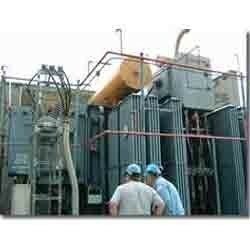 1MVA up to 25 MVA Transformers: - installation, testing & commissioning. Erection of 33 KV, 132 KV and 220 KV EHV equipment& GI structure inculding civil foundation.